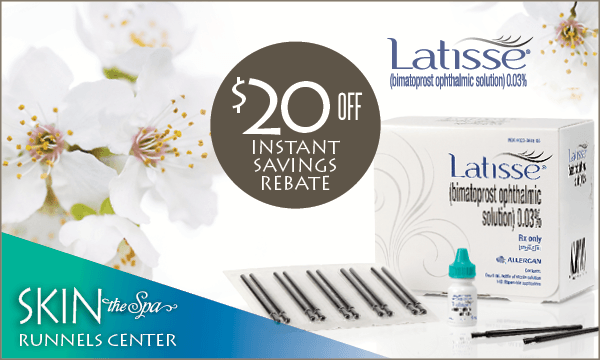 Get $20 INSTANT SAVINGS REBATE on 1 Latisse 5-ml Kit, while supplies last! While supplies last, grow eyelashes longer, fuller, darker and save $20, only at SKIN the Spa at Runnels Center! ACT FAST– this special will be gone soon. Brilliant Distinctions members can earn 100 reward points on their purchase of Latisse. Offer can be combined with Brilliant Distinction coupons, but can not be combined with any other Latisse rebate. It's Double Swiss Reward Points April! 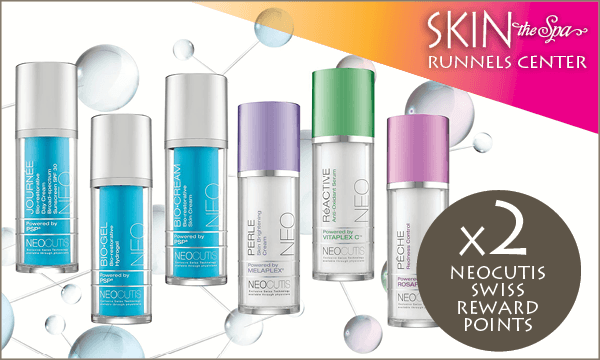 Earn x2 Swiss Rewards Points from SKIN the Spa at Runnels Center for qualifying purchases of NEOcutis Products through April 30, 2018! Now is the perfect time to update your skin care regimen for Spring or restock on your NEOcutis favorites.